Northpoint Wong Amat is an ultra luxurious, twin high-rise, residential condominium development with direct beach access to one of Pattaya’s most secluded and un-spoilt beaches in the prestigious upmarket neighborhood of Wong Amat Beach. The project is comprised of 376 units ranging from studios, 1, 2 & 3 bedroom, as well as 3 bedroom duplex apartments, split amongst 2 high-rise towers of 54 and 46 floors each. 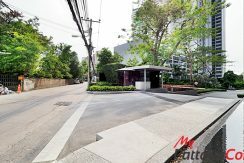 The Developer of the Northpoint Wong Amat, is none other than the renowned Raimon Land Group whose both a major Bangkok based property developer and a publicly traded company which is listed on the Stock Exchange of Thailand. To date Raimon Land Group has completed well over 14 high end residential projects across the breadth and depth of Thailand in major cities such as Bangkok and Pattaya since the company was first established back in 2004. Examples of past successfully completed projects include “The Lofts Yennakart”, ” The Legend Saladaeng”, “The Lakes & The Lofts Sathorn”, “UNIXX South Pattaya” and “Northshore” to name but a few. Beachfront swimming pool and sundeck surrounded by lush tropical landscaped vegetation. 50 Meter lap pool and terrace overlooking the Gulf of Thailand. Fully-equipped gymnasium with Male & Female change rooms. Private access to Wong Amat Beach. Built in Western high gloss white and wooden toned laminate kitchen(s) with hard top counter-tops together with single bowl, stainless-steel, recessed sinks, (2 or 4-plate hobs, slim-line extractor hoods and built in microwaves). Fitted matching high gloss white laminate wardrobe(s). Finished bathroom(s) with wooden toned composite sink counter-top(s), modern square white porcelain sink(s) and vanity medicine cabinet style mirror(s) together with shower(s) and tempered glass shower enclosures. Whereas the larger 2 and 3 bedroom units also feature jacuzzi bath(s) in the master bedroom(s). High quality cream ceramic floor tiles. Ceiling mounted and ducted air-conditioners being 1 in a studio, 2 in a 1 bedroom, 3 in a 2 bedroom and 4 in a 3 bedroom apartment respectively. Private balconies with safety-glass balcony railings for optimal direct facing sea, island and city views. Studio/1-Bathroom Units (Small) 51 Square Meters/548 Square Feet (7,140,000THB<). 1-Bedroom/1-Bathroom Units (Small) 66 Square Meters/710 Square Feet 9,200,000THB<). 1-bedroom/1-Bathroom Units (Large) 73 Square Meters/785 Square Feet (10,200,000THB<). 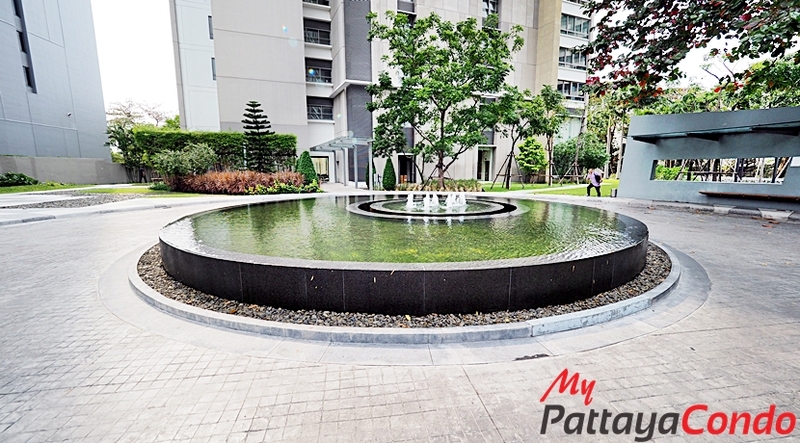 2-Bedroom/2-Bathroom Units (Large) 104 Square Meters/1,119 Square Feet (14,900,000THB<). 3-Bedroom/2-Bathroom Units (Large) 132 Square Meters/1,420 Square Feet (20,000,000THB<). 3-Bedroom/2-Bathroom Units (X-Large) 180 Square Meters/1,937 Square Feet (27,000,000THB<). Northpoint Wong Amat was completed in 2009. Developer: Raimon Land Development Co.,Ltd. Total Floors Building A: 54 Floors. Total Floors Building B: 46 Floors. Total No. of Units: 376 Units. Sinking Fund: 800THB Per Square Meter (One-time only).